A few weeks ago I wrote a blog titled, Capturing Millennials, about the fundamental lifestyle shifts that have kept many members of the Millennial generation out of the boat buying market. I argued that it’s not for a lack of interest in boating, but that other demands take precedent over a nonessential, fun purchase. Paying down student loans, buying a house or decent automobile often take precedence — it’s a crucial issue for the boating industry to address if it seeks to be a mainstream pursuit, rather than something reserved for the 1 percent. 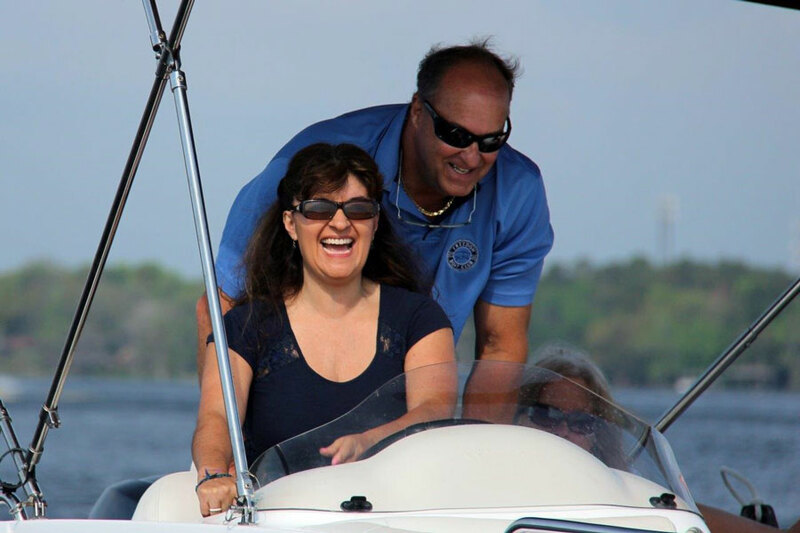 My blog struck a chord with Lisa Almeida, franchise director of Freedom Boat Club. She also owns two FBC outlets in Jacksonville and St. Augustine, Florida. Through our conversation, it became clear that Almeida is one of the industry’s most passionate advocates for growing the number of boaters for the benefit of everyone in the marine industry. For a clearer picture of how boat clubs can benefit the industry, I interviewed with Almeida about her experience as a boater, the growth of the Freedom Boat Club and why the rest of the industry needs to get on board with clubs as a means for exposing new people to the joys of boating. Boating Industry: In your life, do you see a difference in the current generation’s adoption of boating? 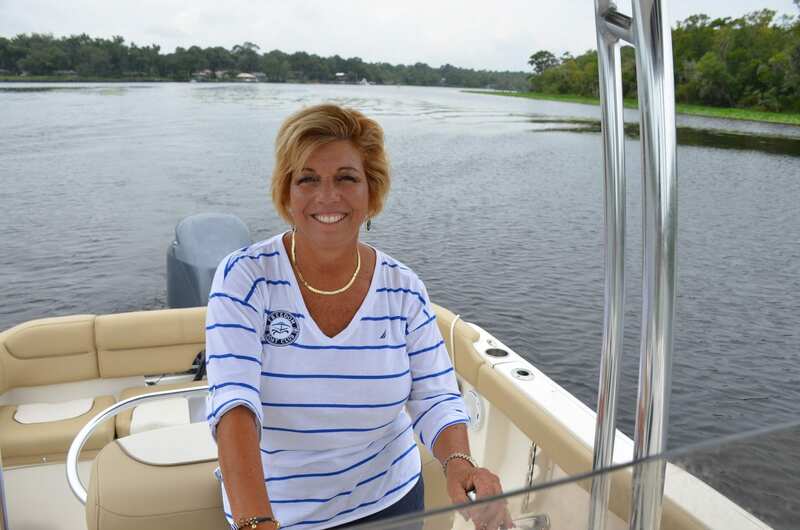 Lisa Almeida: I live on Pottsburg Creek — it’s a real waterfront community and all of the people my age that have kids, their kids are now getting into boating and buying boats. They’re buying used boats and they’re buying older boats and, there’s no way they could afford to buy a nice new boat. They just couldn’t do it. It’s just so bizarre to me because the boats continue to get more expensive … for the most part cruisers and all that are much more expensive, they’re not coming down. What I know about the Gen X-ers and Millennials, they don’t purchase as much as they used to, they’re still living at home with their parents. BI: As Franchise Director, how are you trying to grow the Freedom Boat Club? LA: We’ve been advertising very heavily, we’re a sponsor of the Top 100, we have an advertising campaign in Boating Industrymagazine, and we’ve really been trying to encourage dealers and marina owners to get into the business as a different profit center for their business. BI: Why do you think boat clubs haven’t become much more popular with existing dealerships and marinas? LA: I think they think it might be competition for selling boats, which it’s really not. What we’ve learned in the 25 years we’ve been in business is … the people that are joining our club weren’t actually ever going to buy a boat. It’s not a decision between buying a boat and joining a club, it’s a decision between joining the club or joining a golf club or a country club or a family vacation or putting a pool in. We’re actually creating boaters. BI: How does a boat club appeal to somebody who may not consider purchasing a boat? LA: The average worker with a college degree spends an average of seven hours a week working at home, which creates so much overtime in a year, and when you couple that with NMMA survey which said 46 percent of the people said they didn’t want to buy a boat because of time constraints it’s like, wow, the perfect answer is a boat club because you get all of the fun without any of the time, because we clean, maintain, take care of it and do all of that so there’s nothing for them to do but show up and go out. It’s an answer to the busy lifestyle, the two kids, all of that. BI: How big do you see the FBC and other clubs getting in the marine industry? LA: I feel like there’s going to be a paradigm shift. I think boat clubs are going to continue to grow and so if we can get marina owners and dealers to see the light and the value in that, and for them to have a boat club and sell boats, then the boat club is creating boaters in the future. BI: You organize a lot of on-the-water events and educational programs. What’s in it for you? LA: Discover Boating has this Take the Helm series where you can get on a boat and learn how to drive a boat and they do it at every boat show that they can, it’s a great program. We’re involved with them because anywhere we can provide them boats to do it we do. My boat show in Jacksonville is not an NMMA boat show, so in order for me to do the Take the Helm I have to do it myself, which means that I got the boats, paid for the captains, pay Discover Boating to do the registration. I didn’t sell a membership out of it, and I don’t care. I did it to promote boating to get people on the water because I’m such a proponent of boating. I don’t understand why a manufacturer wouldn’t jump all over that. BI: Is one of the explicit goals of Freedom Boat Club growing the boating market? LA: We feel like our mission is to really promote boating and create boaters, and be a sustainer for the industry because we feel like we have a really good opportunity to make that happen. We feel like it’s really our job to promote boating and to support boating on all levels.